Tombs of the Kings, or Palaeokastra if you want to get in the spirit of things, offers a startling combination of the very old with the very new. 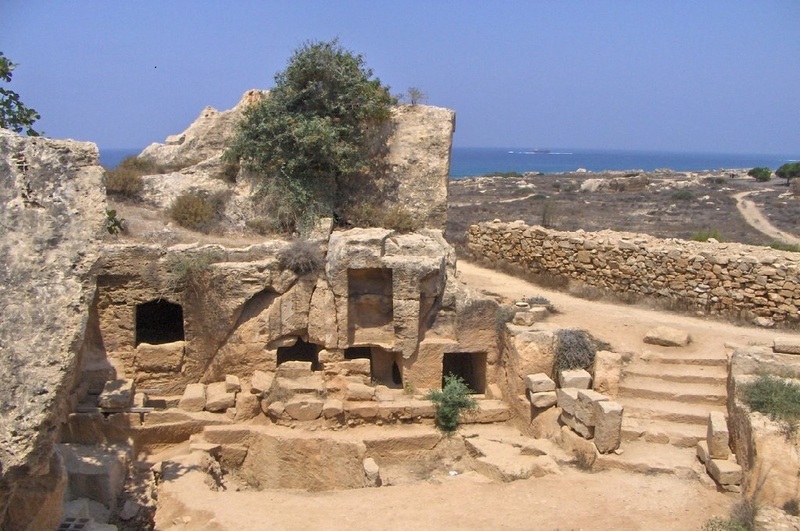 Since the earliest of days the band of coastal land to the west and south west of Paphos has been a necropolis – where stewards and gentry of old saw fit to choose this land as their final resting place. The most interesting of these tombs are the ‘Tombs of the Kings’ (they being only a subset of the ancient necropolis) which have been dated as far back as the 3rd Century BC. They owe their name not to being tombs of royalty – as their is no proof of this – but to being tombs fit for the Kings and Queens of old due to their sheer magnificence. The tombs themselves are hewn out of the rock bed and their architects didn’t shy away from greatness carving 10m high pillars, flights of steps. 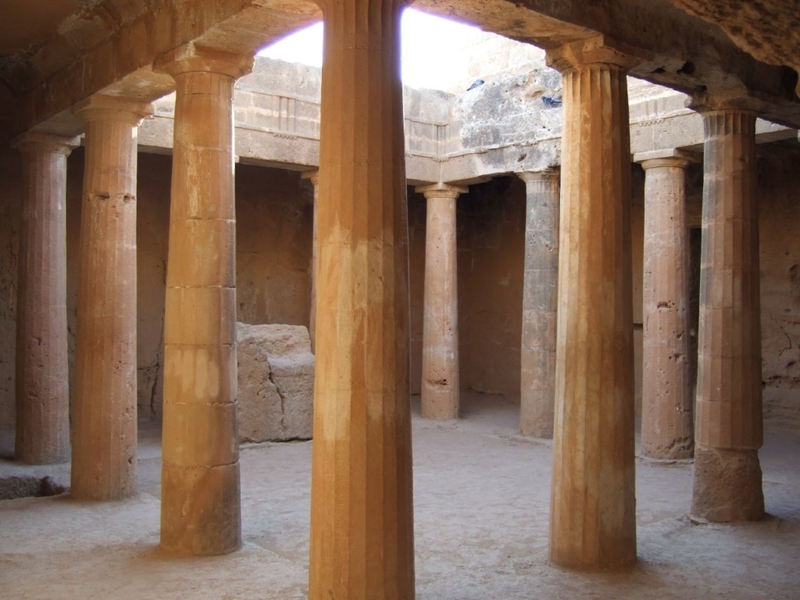 Crosses found in-situ indicate that the tombs were still used in early Christian times. 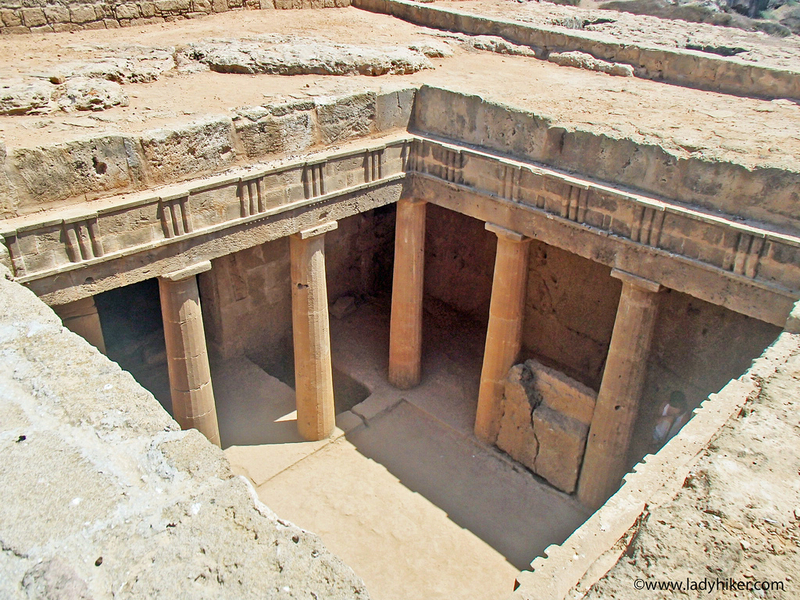 Only a small section of this ancient necropolis remains – the Tombs of the Kings being the longest surviving – as many have been either filled with sand or been used as old quarry sites. So many mysteries, these tombs hold, that archaeologists are still unravelling these whispers of secrets. Note From Wikipedia: The underground tombs, many of which date back to the 4th century BCE, are carved out of solid rock, and are thought to have been the burial sites of Paphitic aristocrats and high officials up to the third century CE (the name comes from the magnificence of the tombs; no kings were in fact buried here). Some of the tombs feature Doric columns and frescoed walls. Archaeological excavations are still being carried out at the site. The tombs are cut into the native rock, and at times imitated the houses of the living. 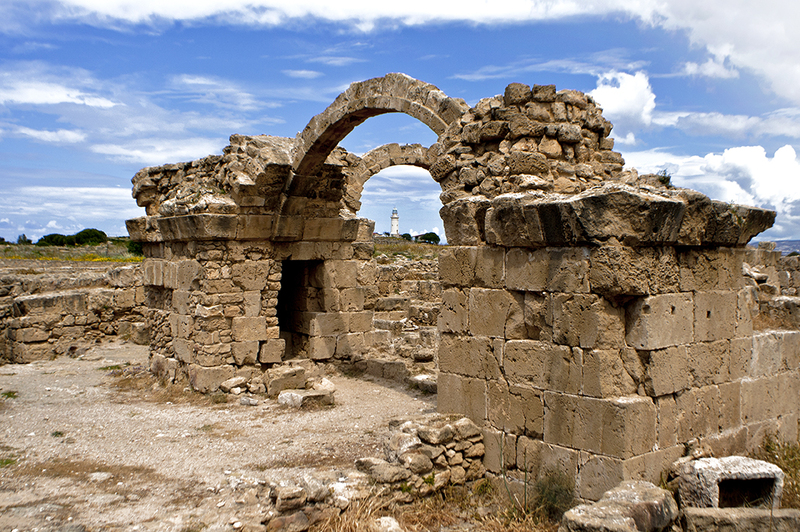 Although the tombs have been known and casually explored for centuries, they were first subjected to systematic excavation in the later 1970s and the 1980s under the direction of Dr Sophocles Hadjisavvas, now Director of Antiquities of the Republic of Cyprus. Dr Hadjisavvas has turned over to research students of the University of Sydney the preparations of the finds for publication. Part of the importance of the tombs lies in the Paphian habit of including Rhodian amphorae among the offerings in a burial. Through the manufacturing stamps placed on the handles of these amphorae, it is possible to give them a date and, through them, the other material from the same burial. Adapted from Aphrodite’s Realm by Parker R.